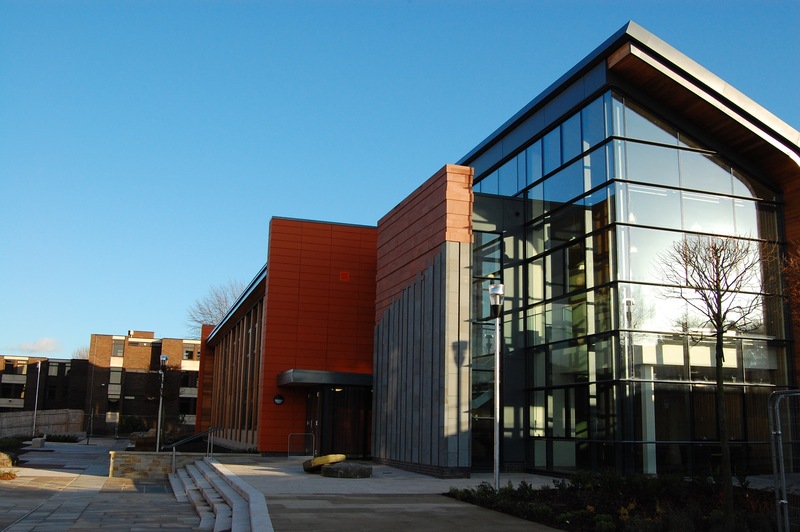 Frank Shaw Associates was Architect to the main contractor for the recently completed James Hutton Building at the headquarters of the British Geological Survey. This new two storey building provides approximately 15,000 square feet of floor space for up to 100 staff. A stone wall at the main entrance celebrates the work of the geologist James Hutton and the concept of unconformity as seen at Siccar Point. 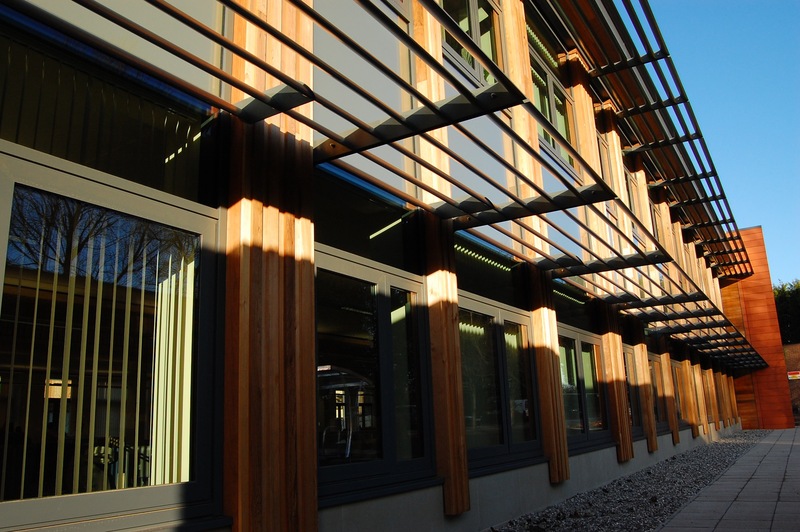 The building also incorporates photovoltaic panels set within the glazed section of roof, terracotta and timber cladding. 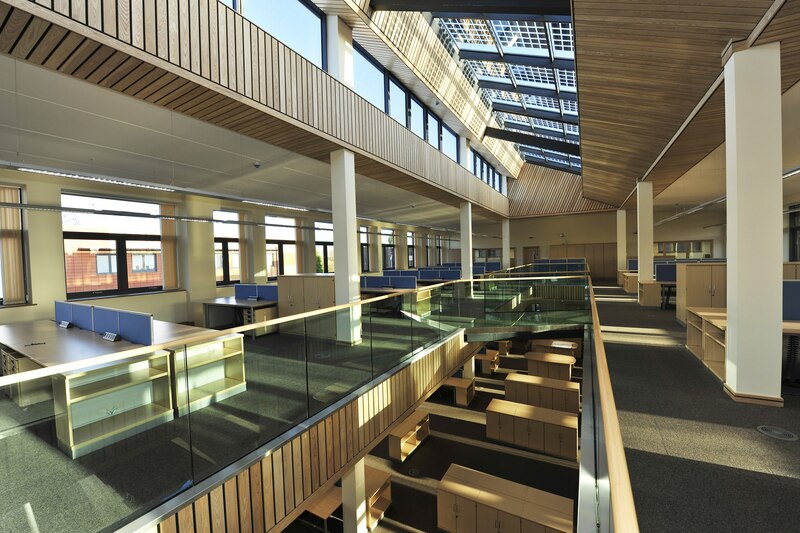 Internally the office spaces benefit from high levels of natural light and ventilation. A central void with a glass bridge to the centre of the first floor office space provides an open and airy feel. Daylight from high level roof glazing and north facing windows boosts natural lighting at both floor levels with the integral photovoltaic cells casting intriguing shadow patterns. Exposed painted concrete soffits were used for thermal mass whilst timber cladding around the central void provided warmth and sound absorption. The geological theme is evident in the main lobby area where Caithness flag paving compliments the timber cladding. 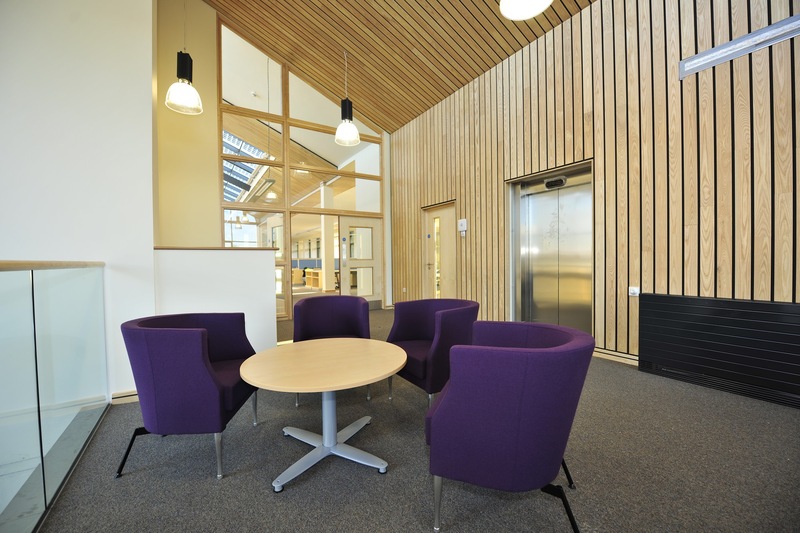 The building has been designed to achieve BREEAM Excellent and has an EPC ‘A’ rating. The project also involved the demolition of existing buildings, the refurbishment of an existing office block to form the new reception and shop, and the construction of the ‘Geological Walk’. The ‘Geological Walk’ is a hard landscaping scheme celebrating the geology of the British Isles with paving stones, monoliths and boulders. All geological periods from Pre-Cambrian to Quaternary are represented and the walk is to be used for educational purposes.